Heard this week on Good Morning America that some workers are finding projects with international companies looking for U.S. expertise. Tory Johnson emphasized being both “global and local” when pitching to these clients. For instance, if I was gunning for a client in Tokyo, I’d be sure to mention that I once lived there and which local restaurants or districts I enjoyed. 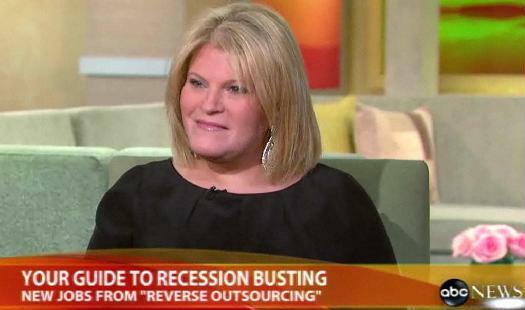 Watch Tory Johnson’s tips on reverse outsourcing.